By Danielle Elvy – Indonesian and Japanese Language Teacher, NSW School of Languages. NSW high schools are required to teach 100 hours of a language to students in in junior high school. This can be quite a challenge for schools in rural and remote areas. Some schools have a non-language teacher teaching a language and sadly sometimes no language classes are offered at all. So this year, the Languages and Culture Unit in the NSW Department of Education, in conjunction with NSW School of Languages (NSL), is funding a Trial Program for 100 hours Mandatory Language Learning for Rural and Remote Areas. 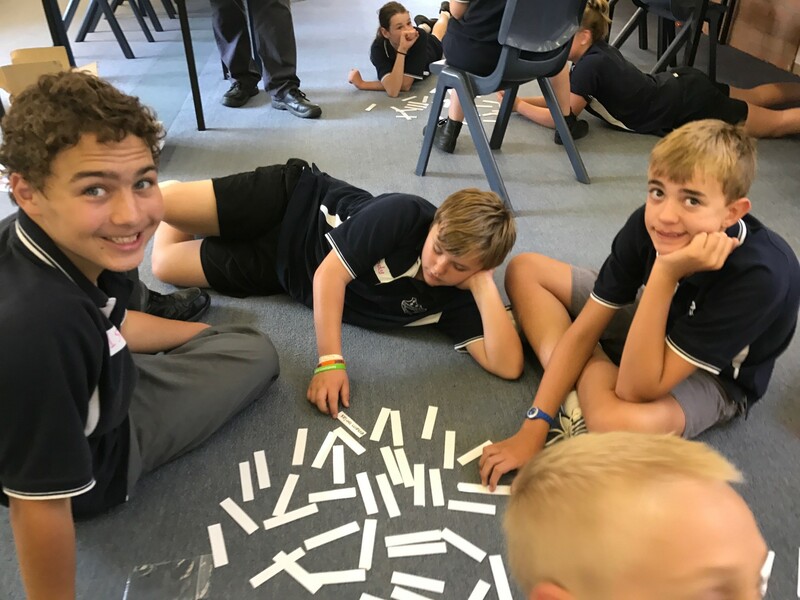 Two schools are participating in the program - Tumbarumba High School (34 x Year 7 students) and Merriwa Central School (30 x Year 8 students). NSW School of Languages has provided the rural students with the course materials and access to NSL’s online Moodle course activities. The delivering teacher, Danielle Elvy, based at NSL, has been teaching via Adobe Connect as well as via Video Conferencing. Many of the courses at NSL already use Video Conferencing, Adobe Connect or Skype. The difference with this trial is that the class sizes are 17 – 30 students per session – many more than the usual 3 -5. Classes for the trial alternate between online Moodle activities supervised by a home school teacher and the Video Conferencing classes with Danielle at NSL. The home school teachers are not language teachers. In this trial they are an art teacher and a geography teacher. That said, the participating teachers’ enthusiasm and interest in Indonesia has been essential to the success of the program. As part of the trial we are keeping records of the pros and cons of the different forms of technology and the associated teaching techniques. There have been some challenging days but they are not without benefit as they are all part of the learning curve. At the end of the year a report will be delivered, with the collected data, to consider if teaching classes via Adobe Connect or Video Conferencing is a viable option for whole class language learning in rural schools. Danielle Elvy and Ida Harsojo (Indonesian teacher at NSL) visited the participating schools in Term 1. 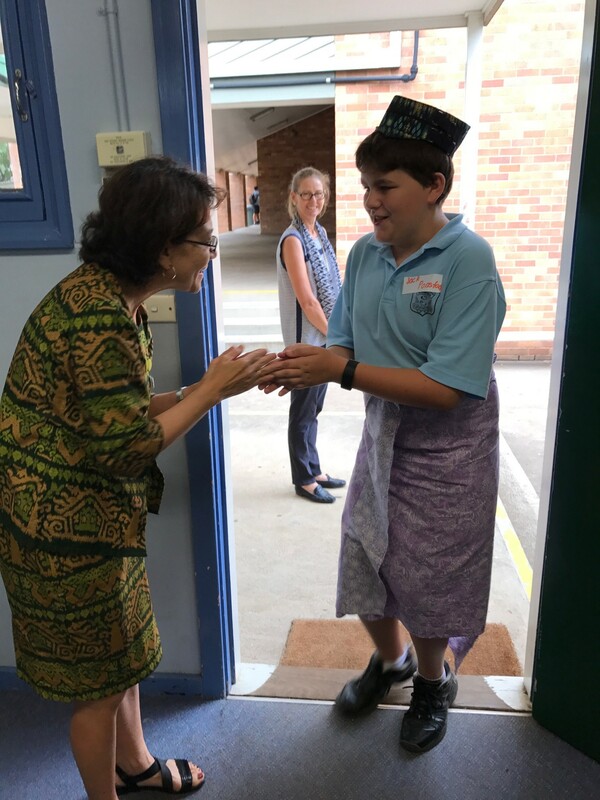 This was an opportunity to make initial face-to-face contact with the students, the supervising teacher, and the school executive as well as provide a ½ day incursion for each class. 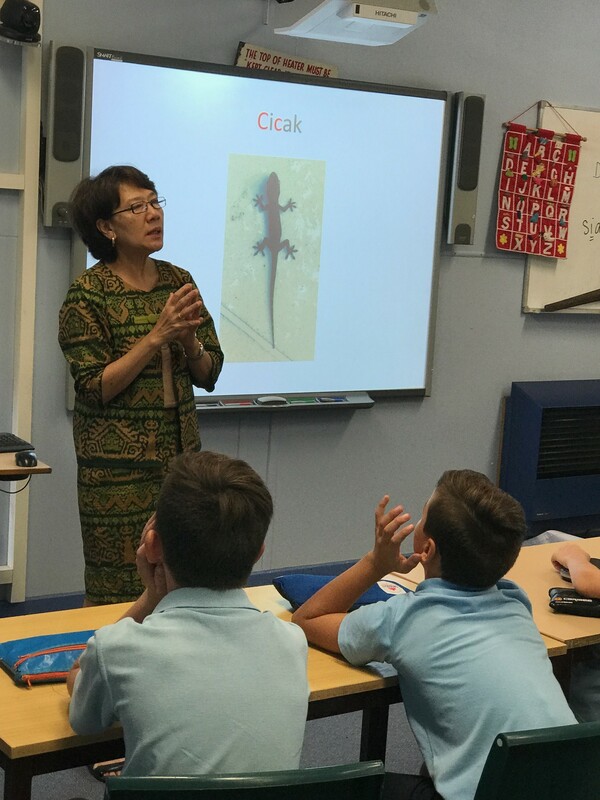 Students consolidated the work covered so far, dressed in Indonesian traditional clothing and were introduced to some new language concepts. This term Ida and Danielle will return to Tumbarumba and Merriwa, to conduct another face-to-face lesson day and to further consolidate the teaching and learning process. They hope to simulate an Indonesian market where half of the students will be given some replica money to spend whilst other students will be vendors. By creating the Indonesian market atmosphere in the classroom, these students who have never experienced Indonesia and bartering will feel and experience the situation first hand. Items for sale will include rice, spices and (real and plastic) fruit, particularly the kind that is not readily available for them to access in rural NSW, e.g. rambutan, star fruit, salak, durian and jackfruit. This trial so far, has shown us that distance does not preclude students from learning a language. 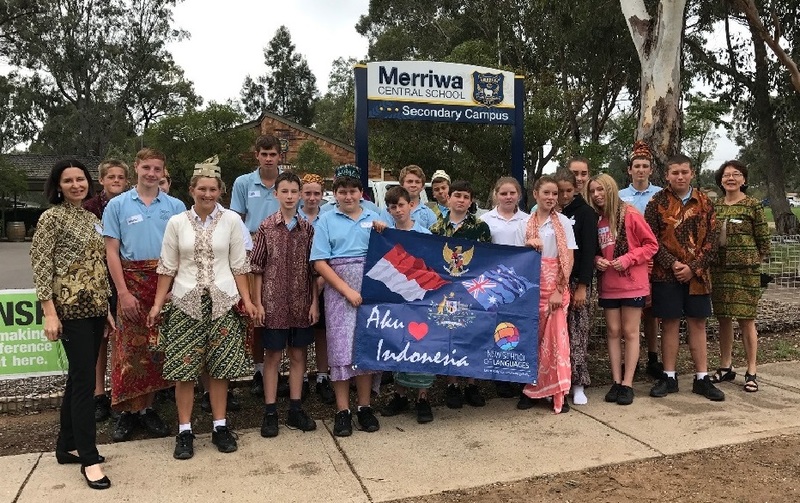 It has been an opportunity to introduce something new and different to the students of Merriwa and Tumbarumba, which would not have occurred without this trial. It is ultimately our hope that these students can become ‘ambassadors’, introducing and promoting Indonesia to their families at home. Lastly, but not least, the trial has introduced Danielle and Ida to the hospitality of rural and regional NSW.